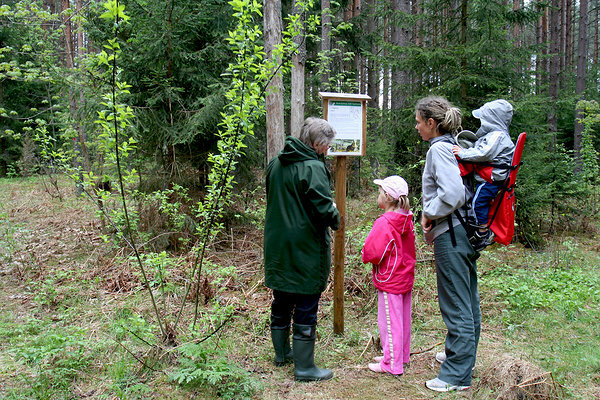 In 2018 reconsrtucted trail introduces the wildlife and history of the forests surrounding Ojaäärse Nature House. 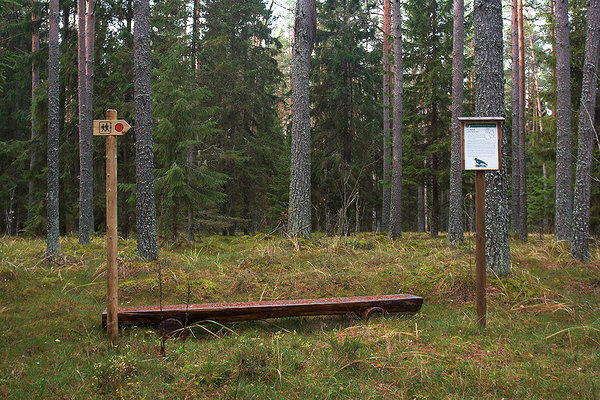 Sights The trail forms a circle in the airy pine forests between the Kuresoo and the Pikapõllu streams. There are many objects of culture historical significance along the trail—old boundary stones, forest divisions, verst sign posts, etc. 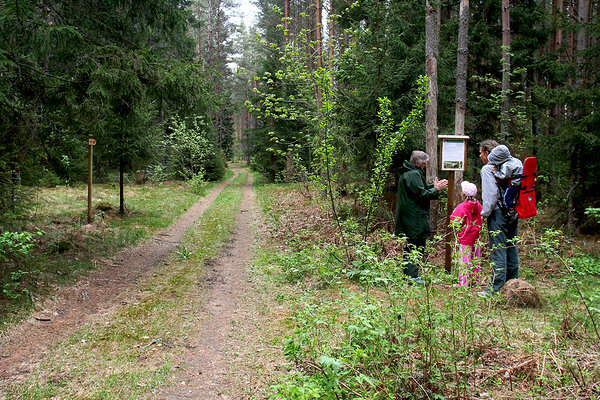 Driving directions Drive 73 km from Tallinn towards Narva, turn left onto Viitna–Koljaku road and drive 6.5 km to Palmse village, turn right (at the sign 6 km to Sagadi). 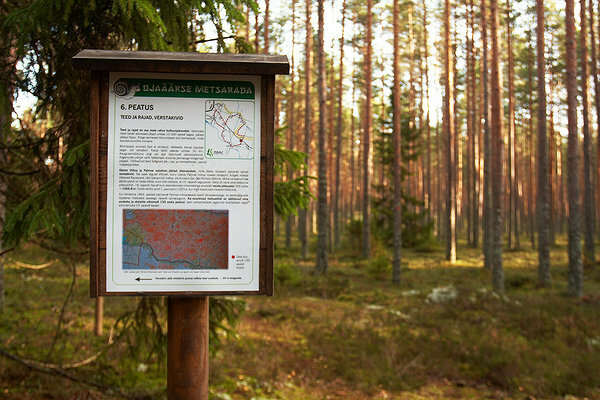 Drive 1 km on Palmse–Sagadi road and follow the sign to Ojaäärse Nature House. The trail stars from the parking area of the Nature House.